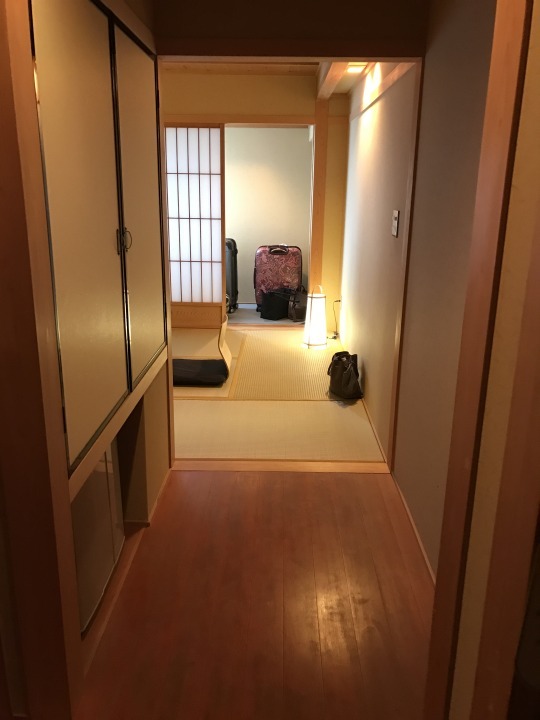 TLDR: Thinking about my stay at this ryokan brings me so much happiness. 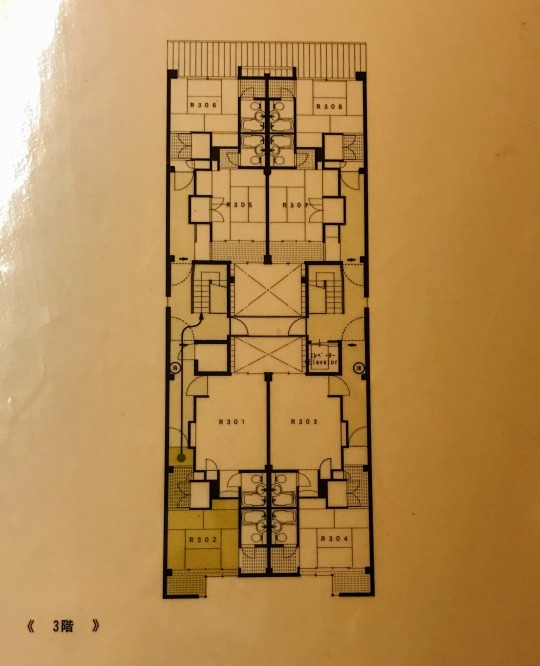 Pros: comfortable rooms, private bathroom, well located, good breakfast, no curfew, elevator. Cons: If you’re over 5’10”, you’ll need to constantly watch your head. 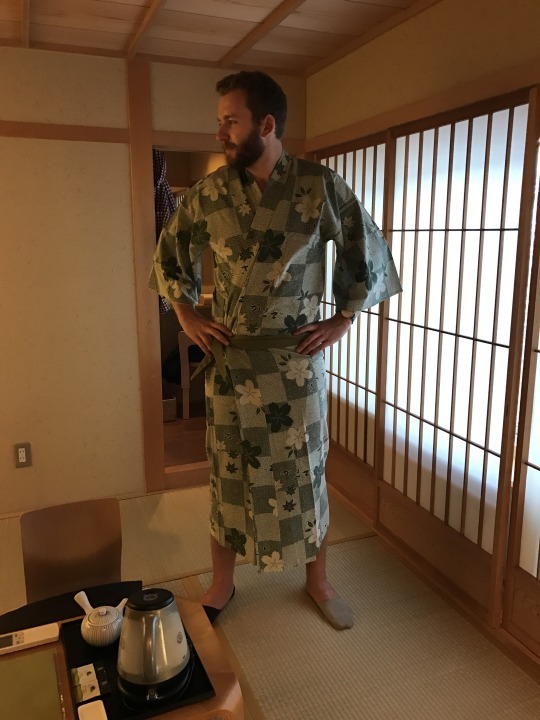 This was definitely touristy, but I wanted to stay in a ryokan, a traditional Japanese guesthouse. 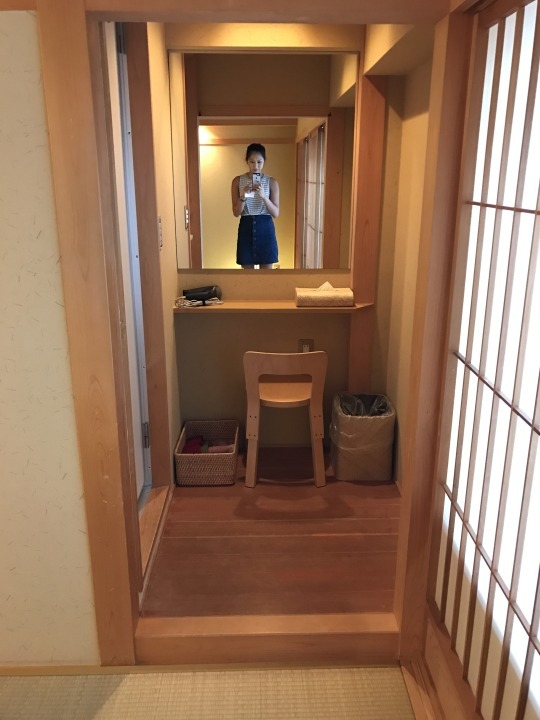 I read that Kyoto is full of ryokans, so I started searching for ryokans on japaneseguesthouses and TripAdvisor. There are many different types: shared bathrooms vs private, attached to an onsen, kaiseki (set dinner meal), etc. We booked 6 weeks before our arrival, so by that time a lot of places were fully booked. Also, I would have loved to do a kaiseki or onsen ryokan but I couldn’t find one that was in our price range. I wouldn’t compromise on the private bathroom, however. I found this place online (they have two locations, Honganji is the newer one) and was able to reserve it online as well! 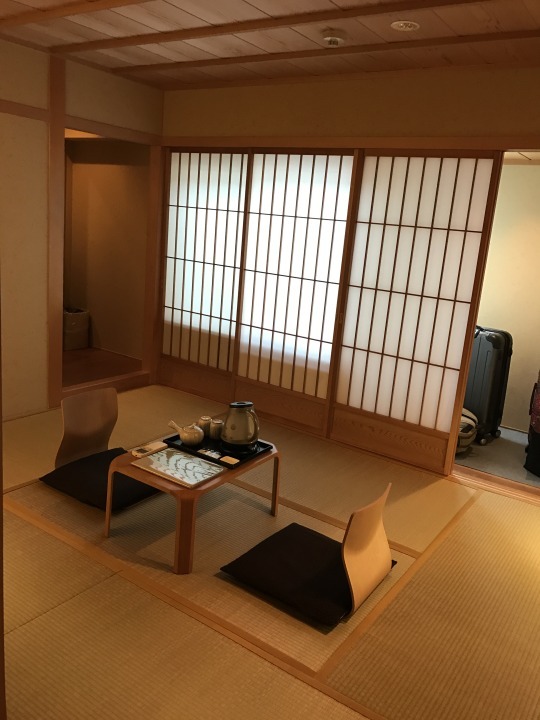 This ryokan had several types of rooms; I chose a standard “Japanese style” room which was 8250 yen per person per night. 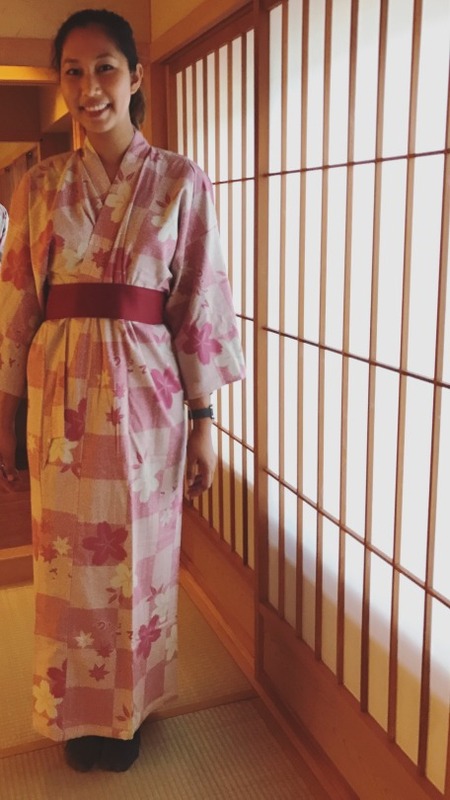 We arrived at the ryokan around 3pm and were assisted by a young Japanese woman dressed in a kimono. 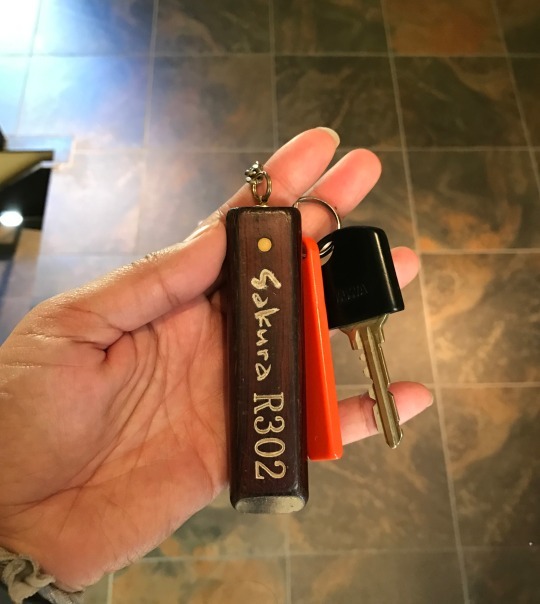 After filling out some forms in the lobby, which doubles as the dining room, we were given keys to room 302. The ryokan does not have a curfew; instead, we were given a code to unlock the front door when coming back late at night. The employee loaded us into the elevator with our luggage and said, “I’ll meet you at the top!” She ran up the stairs and was waiting for us when the elevator doors opened. 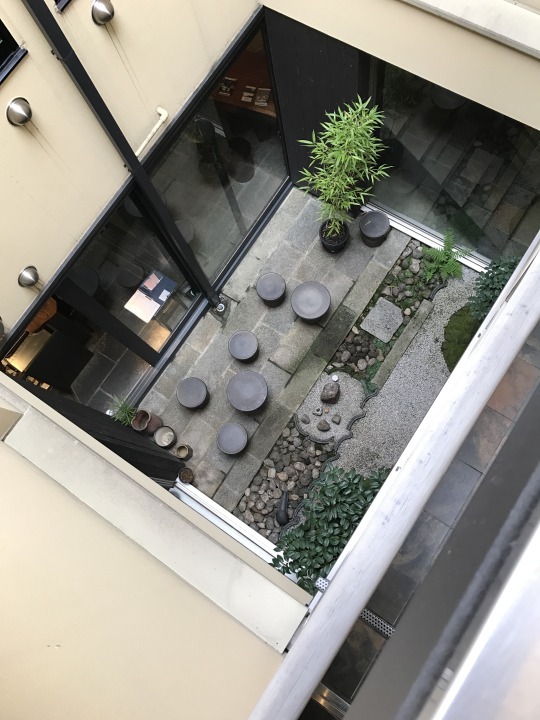 We crossed a small walkway that was over the building’s internal garden. 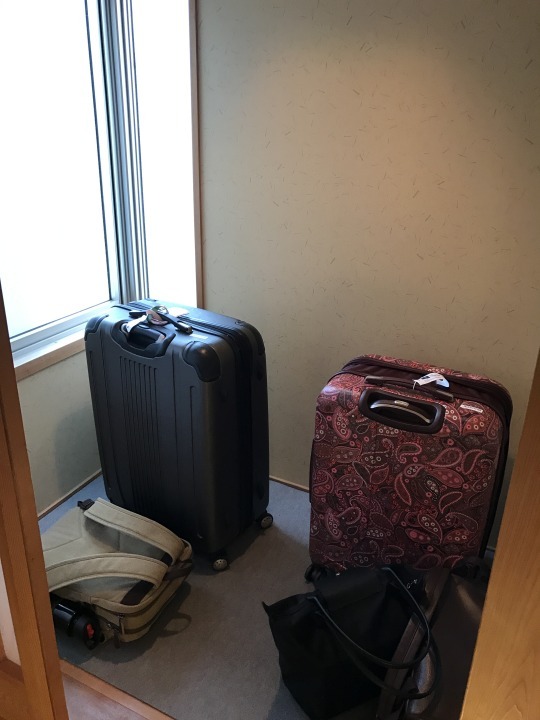 Our room was located on the third floor and had a storage area for our luggage. 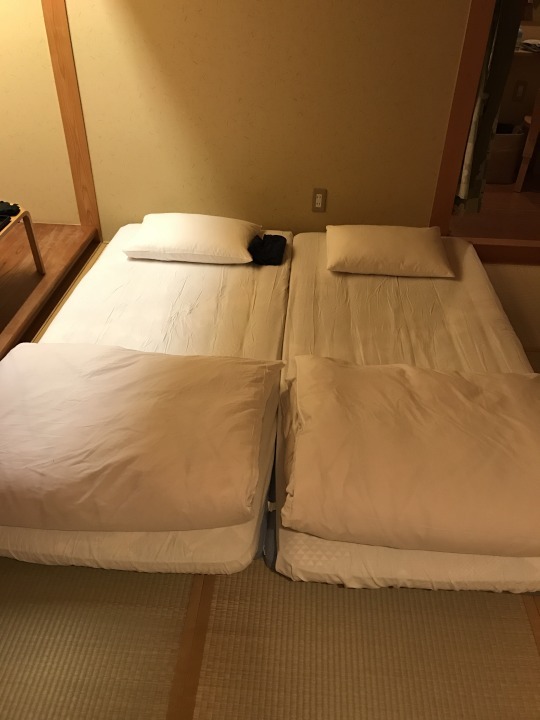 Since the tatami mat floors are delicate, they are not allowed to get wet and you can’t put shoes or luggage on them. The entryway of the room had wood floors where you could store your shoes. 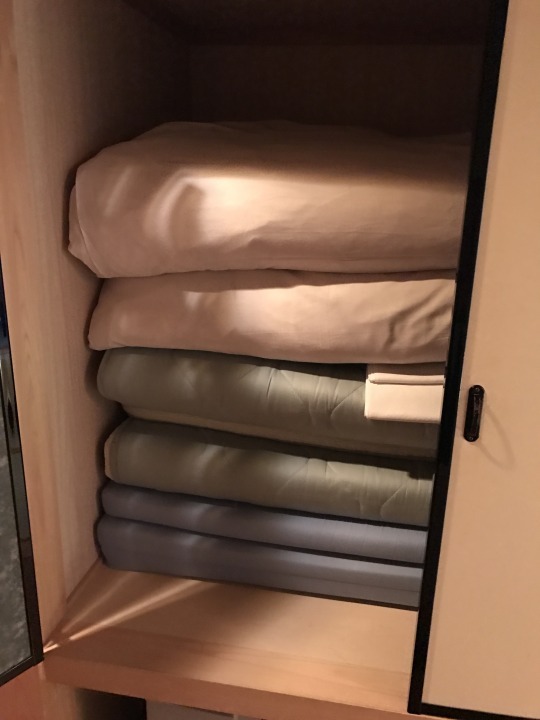 There was also a closet which had the bedding materials. I actually slept really well and found the bedding to be very comfortable! There AC unit was also located in the main area of the room. Past the main area of the room was a small vanity area. The doorway from the room to the vanity area/bathroom was very low, and Max hit his head multiple times. He was not pleased. To the left of the vanity area was the small bathroom. 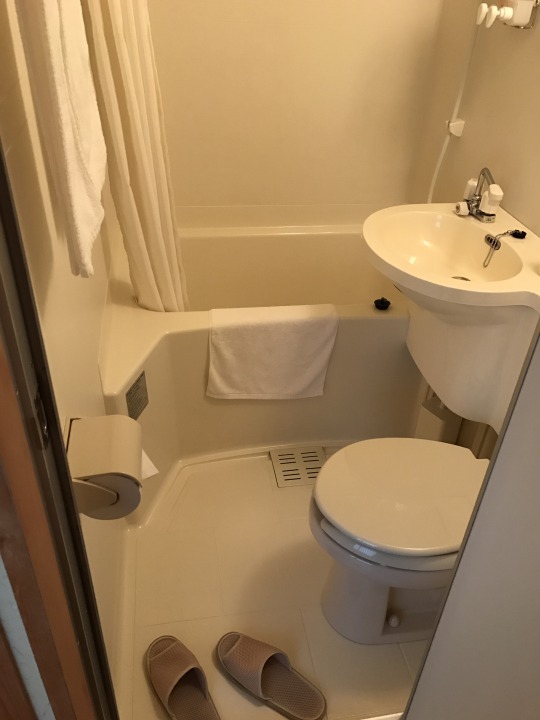 If you’ve ever been on a cruise ship, you won’t be surprised by the size of the bathroom. The sink and shower faucets are supplied by the same hose, and there’s a switch to toggle between the two. 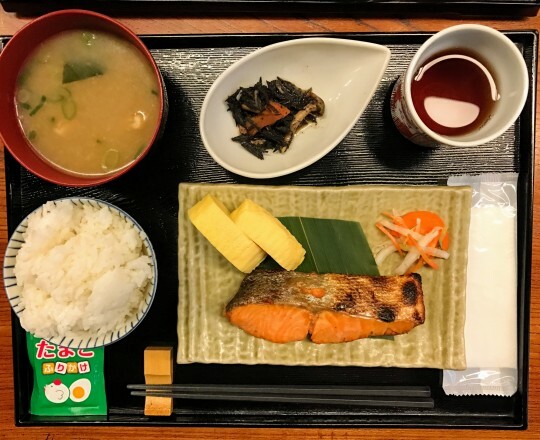 The breakfast is served at communal tables in the lobby area of the ryokan; on our last morning we even met another couple from San Francisco. The breakfast itself was delicious. 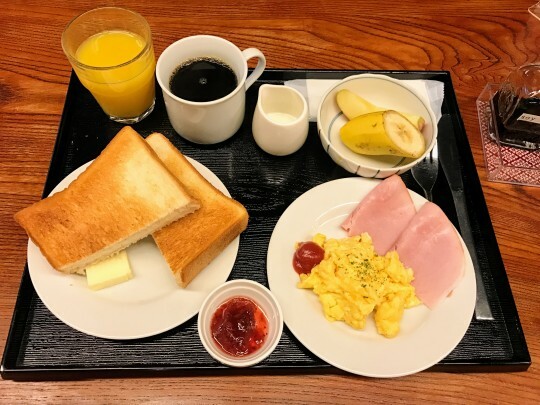 Breakfast was 1000yen per person and you must order your breakfast the night before. There’s an option of Western (which I chose) or Japanese (which Max chose). 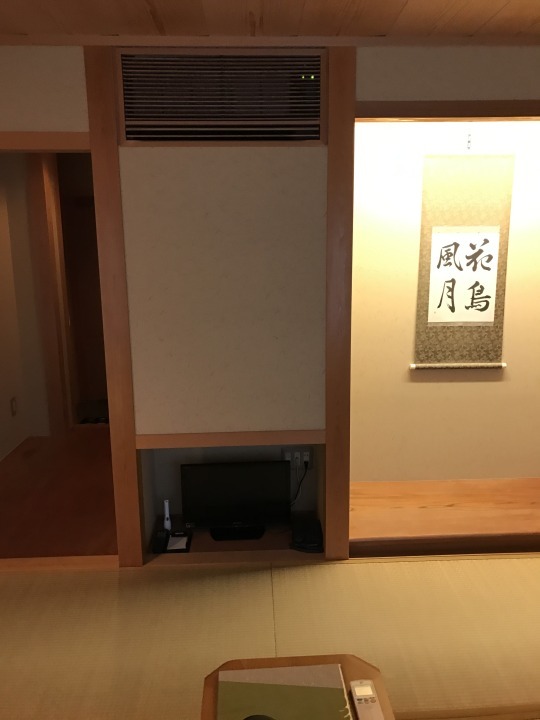 I loved my stay here and would recommend it to anyone looking for a ryokan in Kyoto.